Benefits, Indications: Cinnamon oil can be used for infection of the respiratory tract, rheumatism, arthritis and general pains. It calms an exhausted feeling of depression, tones the whole body and stimulates the glandular system, thus easing period pains. Cinnamon oil's benefit lies in its toning and calming effect on the respiratory tract, the nervous system, and in the easing of colds and influenza, as well as period pains. It also calms the digestive system and helps with rheumatism and arthritis. Although traditionally used for clearing warts, it is not recommended to be used in skin care products. Companion Oils: clove, nutmeg, ylang-ylang, grapefruit, peppermint. It acts as a fixative and can prolong the aroma of essential oils like rose, lavender, lemon, lime, orange and other citrus essential oils. Precautions: Cinnamon leaf oil is generally considered safe. Cinnamon and its products interact with antidiabetic medication. 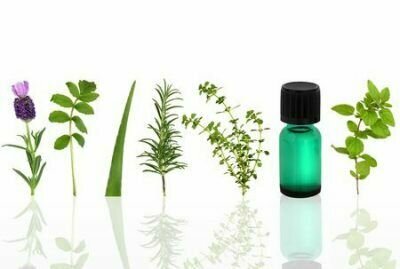 Cinnamomum zeylanicum, Origanum vulgare, and Curcuma longa Essential Oils: Chemical Composition, Antimicrobial and Antileishmanial Activity.